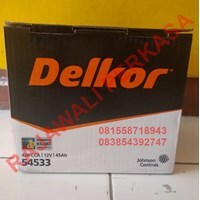 Car Battery DELKOR 210H52L (N200) Aki Delkor 12V 200Ah suitable for Jaguar, BMW Series etc, low price, quality goods, ready stock goods, also serve for large quantity purchase, retail, for resale or use alone, and able to serve delivery to all corners of the country by using forward expeditions. 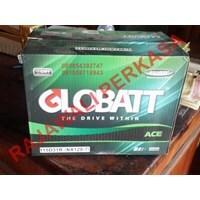 MF Globatt car battery 115D31R / NX120-7 / 12v 100ahGlobatt 115D31L / NX120-7LSpecifications: 12V 100 ah cca 775Suitable for excess use cars, commonly used for pajero dakkar, fortuner vnti, jeep etc.Low prices, quality goods, ready stock items, also serve for the purchase of large quantities, retail, to be sold again or used alone, and are able to service shipping to all corners of the country using reliable expeditions. 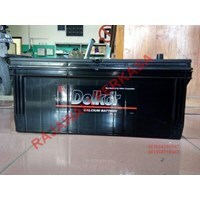 MF Delkor Car Battery 12v 45ah / 54553Delkor made from Korea has many advantages. 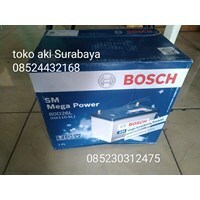 Minimal self-discharge, can last for a long time without requiring recharged. Sealed maintenance free design, no need to add water. An inbuilt hydrometer for easy checking of charging conditions, helps if the battery does not get routine use, for example antique cars, boats and caravans. The cover is sealed to prevent leakage and contamination to the battery. Lead calcium grids to prevent overcharge and thermal changes. 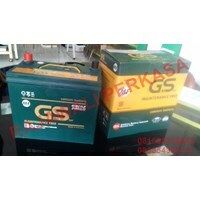 (a suitable battery for a taxi) a liquid gas separator that prevents the loss of electrolytes by collecting steam and returning into the liquid into the battery. 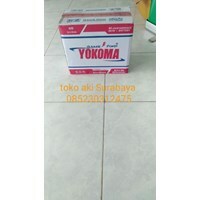 The premium product has a silver additive increasing CCA and works well in heat and extreme weather. Reinforced by polypropylene content for resistance to vibration and damaged road shocks. Fold down the handle for easy installation. 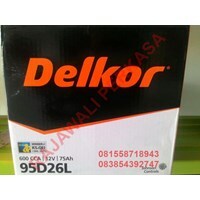 Delkor manufactures for various large manufacturers such as AC Delco, Mitsubishi, Honda, Bosch, Daewoo and Hyundai.Low prices, quality goods, ready stock items, also serve for the purchase of large quantities, retail, to be sold again or used alone, and are able to service shipping to all corners of the country using reliable expeditions. 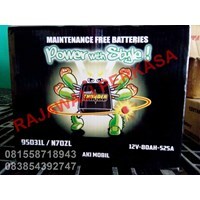 Accu Car Battery Maintenance Free NS60LS Gold Star brand cheap prices, quality goods, ready stock items, also serve for the purchase of large quantities, retail, to be sold again or used alone, and are able to service shipping to all corners of the country using reliable expeditions. 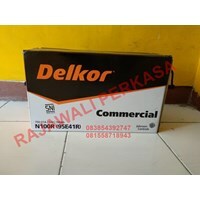 Car batteryCar Battery Delkor 95D26L 12v 75AhBrand: Car Battery DELKOR MF 95D26L 75Ah 12V 75AH (Maintenace Free)Dimensions: 260x173x201x225 mmCapacity 12V 75 AhWeight: 8 kgAccu Maintenance Free 12v 75ah DELKOR brand cheap price, quality goods, ready stock goods, also serve to purchase large quantities, retail, for resale or used alone, and able to serve the delivery to all corners of the country by using the expedition-expedition. 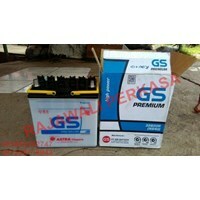 Aks Mobil GS NS40 12v 32ahAki Mobil GS NS40 12v 32ah is suitable for carry and katana cars, low price, quality goods, ready stock goods, serving also for large quantity purchase, retail, for sale again or used by yourself, and able to serve delivery up to all over the country by using forward expeditions.